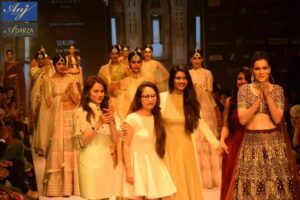 Anj Kouture by Anjoo Karanjia recently revealed their latest wedding,bridal and festive collection, Adarza, at the Pune Fashion Week 2016 with Waluscha De Sousa as the showstopper. 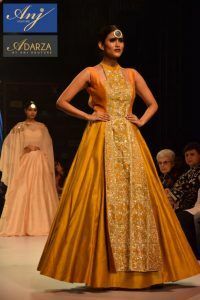 Adarza is the latest bridal collection by ANJ Kouture. 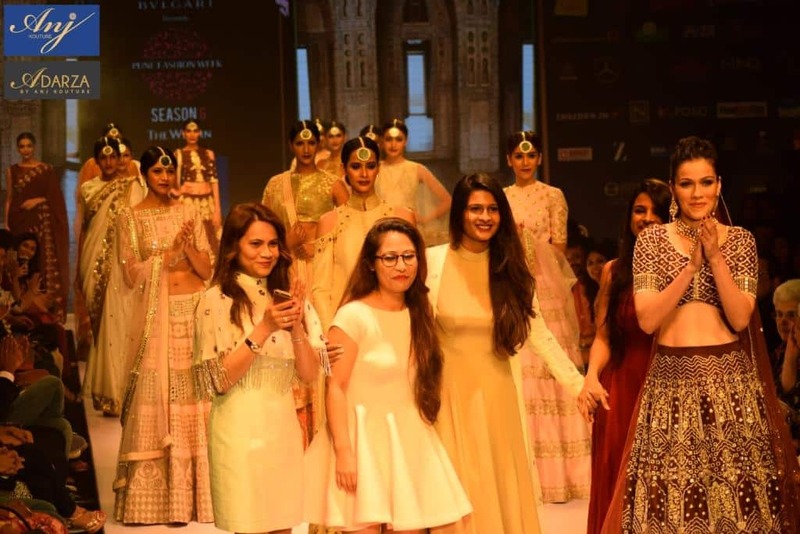 Inspired by the Sheesh Mahal at Amer Fort, Jaipur; the collection incorporates motifs and embroidery from the intricate architecture of the palace. Adarza which literally translates to “mirror” is used as a metaphor for the collection being a reflection of the bride’s emotions, personality and individuality. 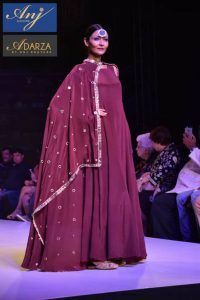 Adarza curated keeping the traditional Indian bride in mind, the collection mirrors the modern, independent outlook of the woman today who is still deeply rooted in our cultural glory. “I stand in front of the mirror reflecting on my past. I remember doubting myself, finding blemishes in my beauty and crying for acceptance. Today, I stand in front of the same mirror but now I see my inner beauty. I’ve found love I’ve found a man who loves me, and has made me love myself. I’m marrying the man of my dreams tonight who mirrors the reflection of everything I ever wanted”. The color scheme of the collection takes you on a journey from pastels to deep shades. 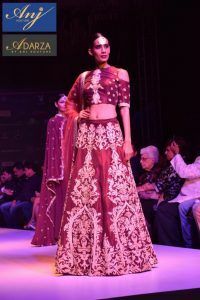 From ivory, gold, peach ,blush pink, sun yellow to deep maroon and red; the collection includes heavy bridal lehengas, anarkalis and lighter range lehengas for other functions, and for family members and friends. The collection for grooms follows a similar color palate with a focus on classic fits. The color palate also makes the collection ideal for day ceremonies as well as evening receptions. The outfits are embellished primarily with zardozi, dori and resham work. The noticeable feature that binds the collection together is the incorporation of mirror work in each outfit but in a uniquely different way. From crop tops to capes, traditional conservative necklines to modern cuts, the variety opens doors for the cultural diversity that our country boasts.